One of the fundamental considerations in the field of philosophy is that of good and evil. We attempt to elucidate what acts are good and what are evil. How much evil does a person have to do to become evil themselves? We even go so far sometimes to question whether there is such a thing as good and evil. 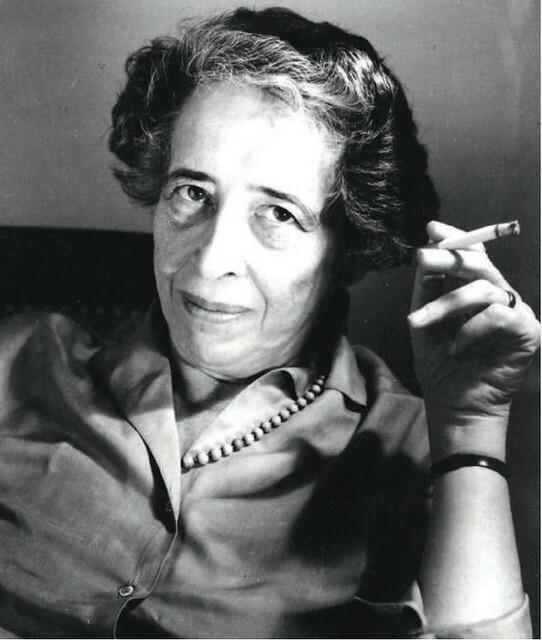 Well, this week’s feature philosopher (though she wouldn’t have called herself that in her earlier days), Hannah Arendt has bought in whole hog to the idea that good and evil exist and proceeded to dedicate much of her career to studying the impacts of evil on a person’s humanity. Living through the Holocaust and covering the trial of one of its main perpetrators gave her a unique perspective to work from and helps us to understand some of the cost involved when we abdicate our responsibility for our acts of evil.